All right fine, I will admit to matching my outfit to the current culinary theme at Preludio – Monochrome. Essentially, the colours black and white dominate the presentation of the dishes, that are clearly seasonally inspired as well. Even the wines are organized according to Black (granite-based, for e.g) and White (limestone as an e.g), depending on the soil in which the grapes are grown. Preludio was one of my birthday meals this year, taking up the lunch spot. Dinner was at Jag, and I must say, I chose well this year. 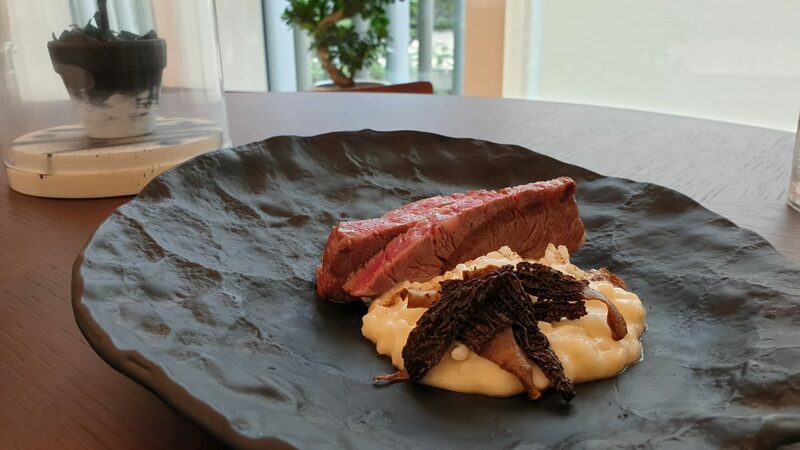 I wanted new restaurants as an antithesis to last year’s selection of a superstar stalwart, Odette, which has just taken the top spot among Asia’s Top 50 Restaurants. 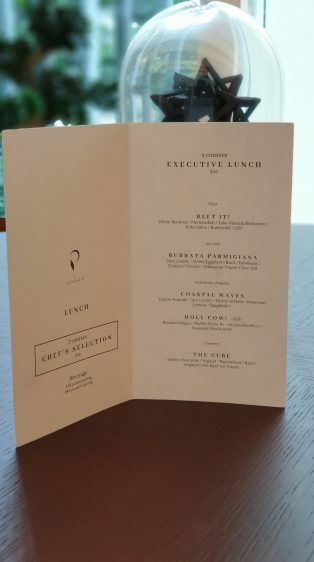 We intentionally selected the smaller of the 2 options that were available – the 4 course at $55 per person versus the 7-course ($98) degustation. Being light eaters, we needed to ensure we had room for the multi-course that was awaiting us for dinner. We also skipped the birthday bubbly and drinks as we had every intention of bringing a bottle of Henri Giraud to Jag. The starter was a white beetroot dish. Chef Fernando Arevalo cleverly sprinkled the subtle beetroot with the powerful flavours of stilton blue cheese and dill. A sourish buttermilk ice cream and creamy saba marsala reduction rounded off the dish. The next dish is one of Preludio’s most well-loved, and it’s easy to understand why. You expect the usual burrata in all its creamy glory, but this changes up the game a little and stuffs the burrata with white eggplant. 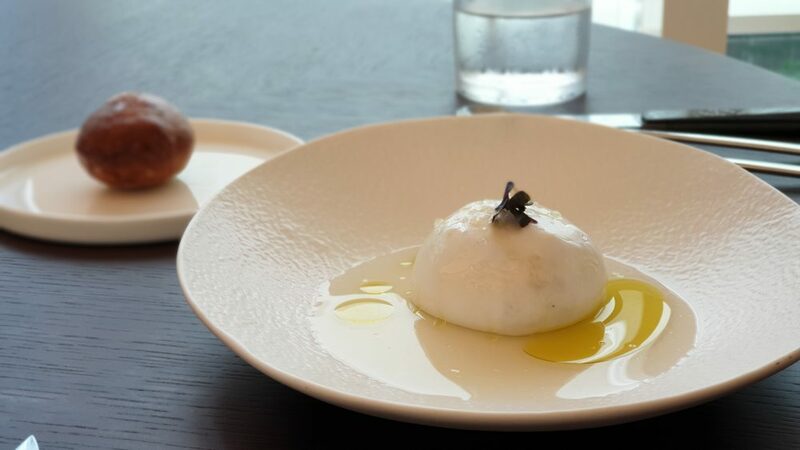 Now while this might appear sacrilegious to burrata purists, if you keep an open mind, you’ll appreciate the risk taken and the finesse given via the various umami touches provided by the tomato reduction, the fruity olive oil and basil. For mains, we chose of one of each between the pasta and the wagyu. 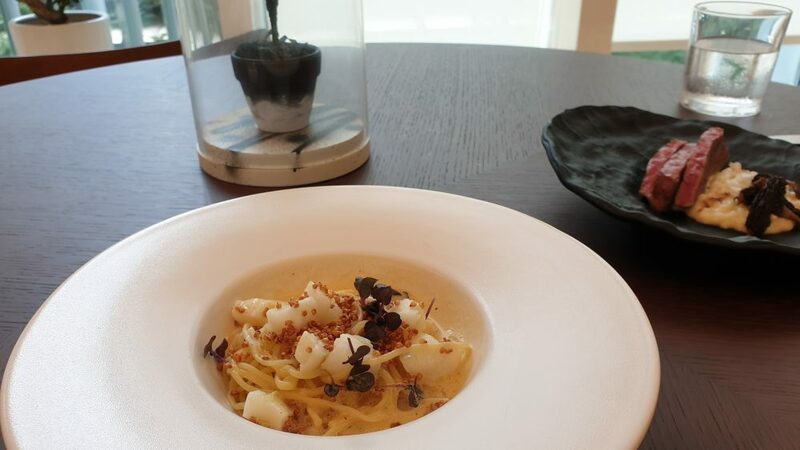 Pasta was homemade spaghettini with the highly coveted Patagonian toothfish. Now, while I’ve had my fair share of lemon-zinged olio pastas, this was quite different indeed. 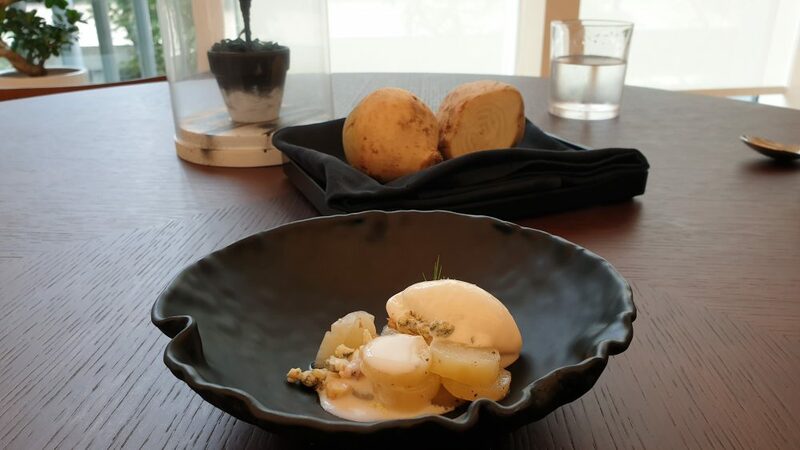 The preserved lemon which Preludio highlighted in this dish provided a taste that was citrusy but not so acidic that it would make one’s mouth pucker. There was sea urchin as well, lending a very subtle touch. And then, the Kiwami Wagyu. One look, and you’re sold. Sliced not too thick, and propped in a prime position to show off the perfect doneness, it was delicious on its own. But of course, the accompanying acquerello rice and mushrooms played up the indulgence factor of the dish. 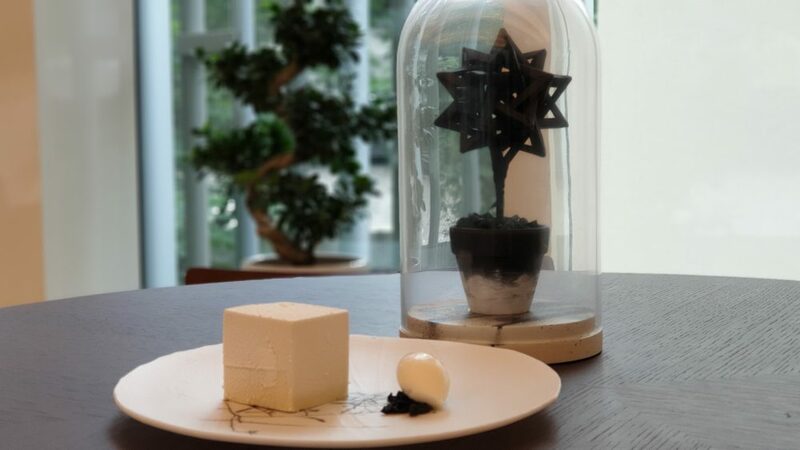 Dessert and a… Preludio pinata? Dessert was surprisingly large. 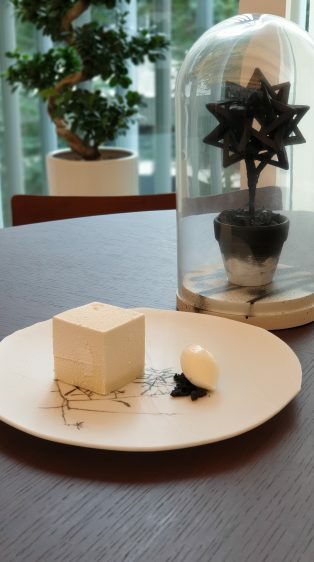 A pristine white chocolate box arrived with a yogurt lime basil ice cream. Crack into the box and there’s passionfruit to add that zing to the dessert. Refreshing and indulgent all at the same time. Now, while most restaurants would provide a cake or some plated dessert with ”Happy Birthday” inscribed on the plate, Preludio does it differently. 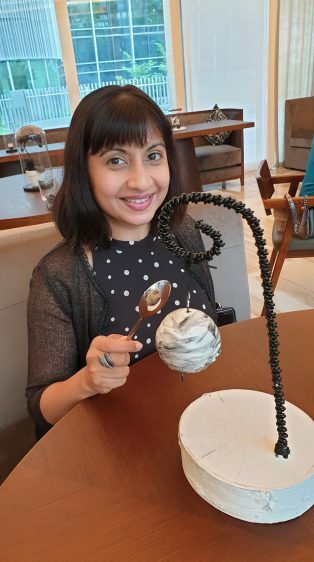 The waiter brought out a grey, marble-like hanging planet and placed it in front of me. 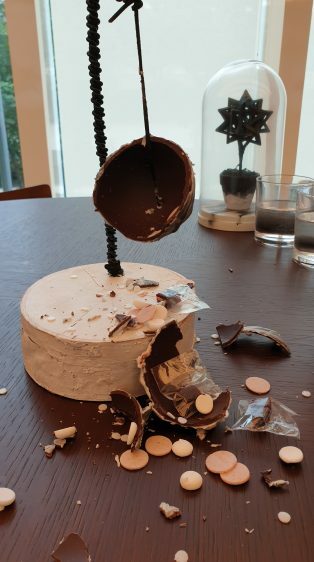 It’s a chocolate pinata, he said. Whack it. Hard. Those were his instructions. Naturally, I was concerned with whacking it and spilling everything all over the place, but he just said to go for it. And so I did! And how fun was it to be hitting the pinata which decimated into chocolate shells with chocolate buttons and some bon bons inside. A different kind of birthday cake, indeed. I read somewhere that to fully get the experience at Preludio, dinners are a better idea. I suppose so, perhaps in terms of ambience, as during lunch, you will see, and hear (no thanks to the placement of seats that could see you back to back with a stranger) groups of business associates dining. In daytime, the minimalist décor, too, doesn’t serve up much inspiration. For a casual or business lunch, Preludio is certainly an impressive option. For a more intimate or special occasion, go for dinner instead. The monochrome chapter lasts till February 2020.